Mladá Boleslav, 10 February 2019 – ŠKODA vehicles have been impressing with their popular Simply Clever features for a decade and a half, offering real added value to their customers’ everyday lives. The Czech car manufacturer now has more than 60 of these practical everyday helpers available to its customers, including umbrellas provided in their cars. So, customers really have all they need – come rain or shine. The umbrella has its own compartment inside virtually all ŠKODA models and is in easy reach at any time. On ‘Umbrella Day’, the folding companion gives us a reason to look back at the beginnings and the history of the practical features which prove that Simply Clever is more than just a slogan at ŠKODA. ‘Umbrella Day’ falls on 10 February every year in the USA. It is unclear when the day honouring the umbrella was first celebrated. Today however, it even has its own hashtag on various social media platforms: #NationalUmbrellaDay. And the handy companion moves with the times in other respects too: in its early days, it was depicted in ancient carvings and has since proven a must-have fashion accessory over the course of its long career. It has of course evolved steadily; technical innovations were introduced, for example with regard to waterproofing and folding technology. In short, the popular everyday companion has proven invaluable and is something we now cannot imagine living without. Reason enough that virtually all of our ŠKODA cars have come equipped with umbrellas as standard or as an optional extra for over 10 years. This means our customers have all they need – come rain or shine. The handy little device made its first appearance in the first generation of SUPERB. 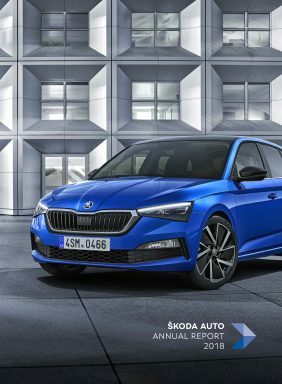 Today, the compact companion is available for virtually all models – it can be found under the front passenger seat in the ŠKODA FABIA, RAPID, OCTAVIA and KAROQ; the SUPERB, KODIAQ and the new ŠKODA SCALA feature umbrella compartments in their front doors. The umbrella is just one item on a long list of now more than 60 popular Simply Clever solutions making customers’ lives that little bit easier. At ŠKODA, the concept of Simply Clever first arose in 2003. The Czech car manufacturer presented the Roomster concept car at Germany’s International Motor Show in Frankfurt and the positive feedback was not far behind. Smart features such as the sliding rear seats or the swivel front seats were particularly well-received. This then inspired ŠKODA engineers to come up with new intelligent features time and time again. The very first Simply Clever solutions found in cars produced by the Czech car manufacturer included the boot covers that can be tucked away and nets in the boot, available for the OCTAVIA and FABIA model ranges. Originality has always been key: Simply Clever features are unique selling points. They must be versatile as well as practical, and offer customers real added value in their everyday lives. Today’s range of features includes a funnel integrated into the lid for the windscreen washer tank, a waste bin in the doors, a glasses compartment above the rear-view mirror, door-edge protection and a bottle holder in every door. Not to forget the Easy Open cup holder in the centre console, the pocket for documents, positioned in easy reach of the driver on the inside of the front passenger seat, as well as the high-vis vests to hand for all occupants. Other practical features include built-in coat hangers, folding tray tables and an ice scraper including magnifying glass in the fuel filler flap. 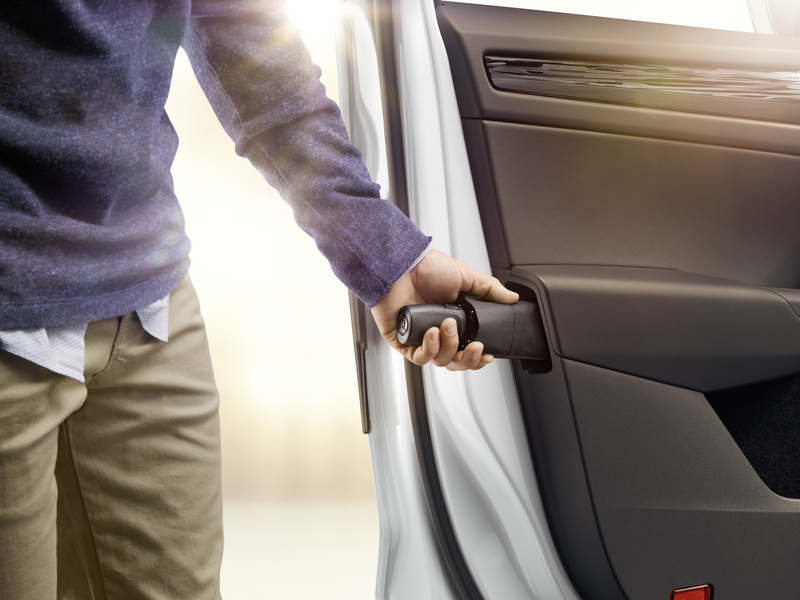 Bag hooks in the boot and a car park ticket holder on the A-pillar make ŠKODA customers’ everyday lives that little bit easier too. And holders for tablets and smartphones as well as front and rear USB ports demonstrate that ŠKODA engineers always keep up with the times, also when it comes to Simply Clever features.